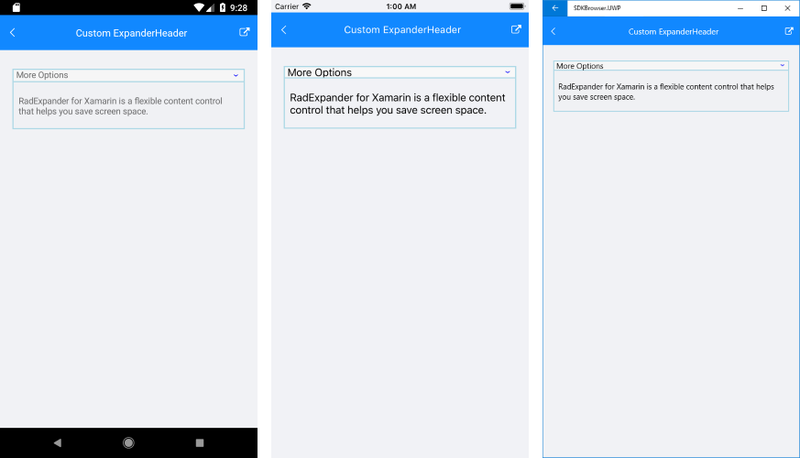 ExpanderHeader represents the Header of the Expander control which is used to show or hide the expandable container. ExpanderHeader provides a customizable Indicator to mark the current state of the Expander as well as BorderColor and BorderThickness properties to style the Header per your needs. You could apply BorderColor and BorderThickness properties of HeaderExpander to make it consistent with the design of your app.